A fuel is a material that stores chemical potential energy. 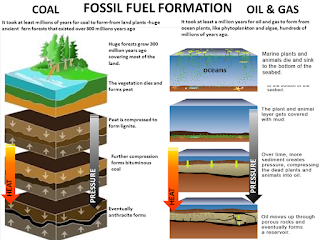 Coal, petroleum, and natural gas, are known as fossil fuels. Fossil fuels contain energy that came from the sun. In fact, the sun is the major source of energy for most of Earth's processes. When ancient animals and plants died, the chemical potential energy they had stored was trapped within them. This is the chemical potential energy that is found in coal. 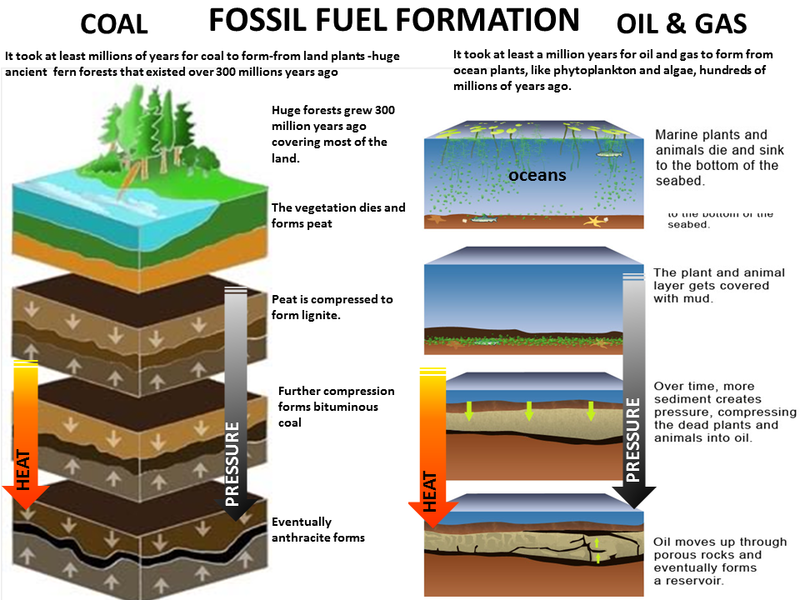 Fossil fuels can be burned to release the potential chemical energy stored millions of years ago. The process of burning fuels is known as combustion. During combustion, the fuel's chemical potential energy is converted into thermal energy.